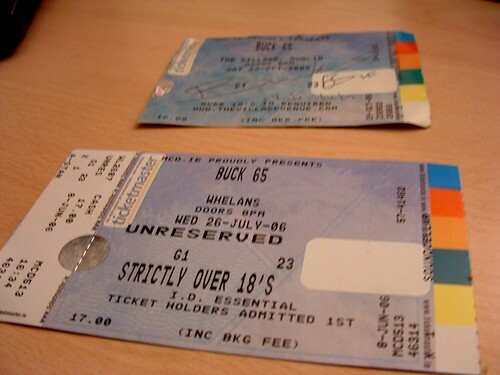 I went to see Buck 65 for the second time with Gareth last week in Whelans. Just like the last time, he autographed my ticket. Such a cool guy. I really have respect for modern artists like him, he’s not afraid of change, and knows his loyal fanbase will support him and bring him Winegums. He has a “mix tape” available from his website, although it’s not clear to me what license it’s released under so I assume copyright which makes derivative works impossible. I’ve seen Buck twice so far, the guy’s great. 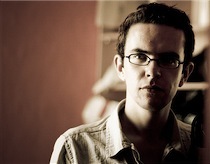 He’s got a really engaging stage prescene and he’s got a got rapport with the audience.